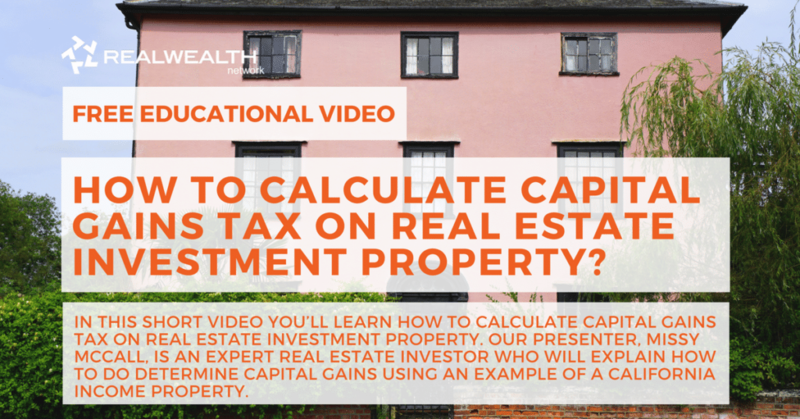 [Video] How To Calculate Capital Gains Tax on Real Estate Investment Property? You are here: Home / Learning Center / How To Calculate Capital Gains Tax on Real Estate Investment Property? In this video you’ll learn how to calculate capital gains tax on real estate investment property. Our presenter, Missy McCall, is an expert real estate investor who will explain how to do determine capital gains using an example of a California income property. 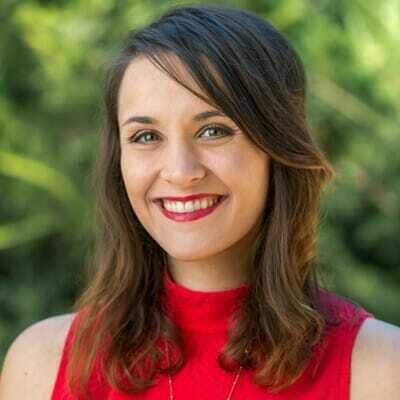 Missy: Today I’m going to explain how to calculate capital gains for investment property. Have you been through this today? Okay. Well, then we’re going to go through it kind of quickly. I’ve learned that with tax law, it takes me about 10 times to learn it. This is what I found. I’m going to use the California example because in Ohio, we don’t have very many million dollar homes. If you had a property that you paid $500,000 for and you sold it for a million dollars, you would think your gain would be $500,000, right? Not quite correct. You have what’s called the basis, and that’s your purchase price of the home. That would be the $500,000. Then your basis gets adjusted by a couple of things. One, the investment that you made into the property by making repairs that would be capital improvements or $25,000. Then we all know that we have depreciation when we are in real estate. How many of you understand how depreciation works? Okay. Then I’m going to give you a brief example of what depreciation is. The government says our houses are a lot like this little clicker. That if I paid $27,000 for this clicker, that 1/10 or 1% of the value of it over 27 and a half years goes away. At the end of 27 and a half years, this clicker would have no value. Now, if I put it in the box and saved it and kept it clean and put new batteries in it, the clicker would still have value, right? Well, the government says that depreciation, or that 127th that you take away every year, is a loss and it’s an expense against your income. Although your property is increasing in value, because properties increase in value if you take care of them, the government allows you to write off 127th of that property every year as an expense. When you’re thinking about a thousand dollar a month income, or $12,000 a year, if you have $100,000 property, you’re probably going to be writing off about $3,000 in expenses for your depreciation. That income is offset. When you grasp hold of that, that’s when real estate becomes even more attractive, because not all the income that you earn is actually taxable. Let’s go back to our example, now that I went off on a tangent. Your purchase price was $500,000, that depreciation in this example was $100,000, and we did $25,000 in repairs. The adjusted basis is $425,000. You’re going to pay taxes on the difference of that adjusted basis and what you sell it for, or $575,000. Right? Let’s see how much tax that is. The depreciation recapture would be about $25,000, your 15% federal capital gains tax would be $71,250. In the great state of California, your state tax would be 9.3%, or you would be paying $53,000 in taxes for a total of $149,000. If you sold the house, just took the cash, you would pay, of your $575,000 you were putting in your pocket. You would give away $149,000 of it. Wouldn’t it be nice to be able to keep that? You’re going to be able to do that by doing that 1031 exchange or exchanging into other properties. This is how that works. You’re going to save 29% in taxes by doing that exchange. Now, that’s an exchange on a rental property into rental properties, is this example.